Good morning, all. Today I thought I'd share a few things that I am absolutely in love with ranging from fashion to food. This dress is currently on sale at ae.com for $36.95 and they appear to still have all sizes available (wha whaaaa? Never happens). I may or may not have ordered this the other day. We will see if it's as cute as it looks online. 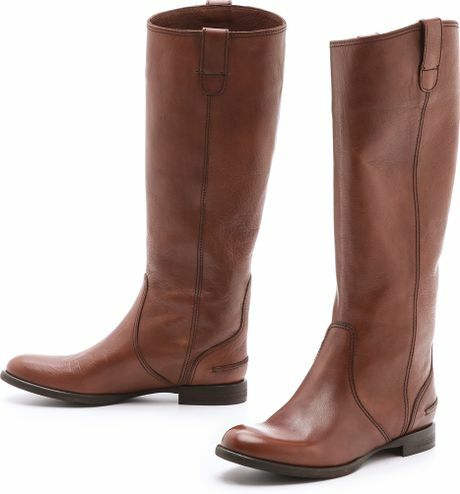 I have big plans to pair it with a chambray shirt, sweater tights, and my new boots from Madewell (see below). And maybe one of my necklaces I bought last year with my meal plan (an ode to which will be posted about later). I mean just look at these bad boys. I had been wanting leather boots pretty much since I was born but was struggling to find some that weren't huge at the top compared to the size of my calves and weren't $5843845. These were closer to $300 originally, but they were on sale AND Madewell does this wonderful thing called a "Student Discount" where you can get 15% off ANY item (yes, even sale items) with a valid student ID/email. Isn't that just about the most amazing thing you've ever heard? Also, J. Crew, Banana Republic, Charlotte Russe, Topshop, and The Limited offer variations on this as well. Maybe I'll just keep going to school for the rest of my life...I'm only half kidding when I say that. Friends, allow me to introduce you to a piece of heaven on earth. 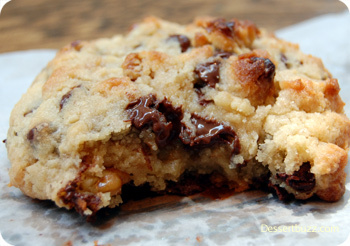 These cookies are from Levain Bakery in NYC and are seriously the best things I have ever eaten. They are huge cookies that literally melt in your mouth. I crave them pretty much everyday of my life. I know what you are thinking, "Ah, if only I lived in NYC and could have access to these delicious morsels." You are in luck because guess what, THEY DELIVER TO YOUR HOUSE. I have yet to try this and see if they are still at least 85% as good as straight out of the oven in NYC, but I'm willing to do so (I hope my husband/family is reading this and will think to do this next time I deserve a treat...which is always). Have a great day and treat yourself to something delicious. You deserve it.